‘Tis the season … to make handmade gifts. At least it is in my house. If this applies to you as well, then you are probably scurrying like me to get it all done in time. The first hurdle is to figure out what you want to make. Then you need to collect recipes. After that you will gather ingredients and, hopefully, have fun making spa products for you and others. To help you along, I have included a few recipes that will be appreciated in this cold, dry season. The first is a lip polish, or a scrub to gently remove the dry skin on your lips. The first time I heard of this type of thing I was slightly confused, but I guess my lips didn’t get the attention they deserved. Now I realize that your lips need exfoliating scrubs as much as your body does. The big difference is to make a lip scrub slightly less abrasive and more moisturizing because the skin on your lips is more delicate. Mix honey and sugar together. Add grapeseed oil and coconut oil and mix well. Add essential oil and stir. Spoon into jars. To use: Take a 1/4 tsp of scrub and gently rub on lips. Rinse well with warm water and pat dry. To follow up the lip exfoliation, lips will appreciate a balm to help lock in moisture. The following recipe is as easy as it gets. You can get fancier and can add beeswax to the coconut oil in the pot if you would like a harder lip balm. But December temps should keep it solid enough, and you don’t want it so hard that it drags on your lips when you apply it. Melt coconut oil in a pot on the stove. Remove from heat. Add essential oil and stir. Pour into a jar but do not cap until it cools and hardens. 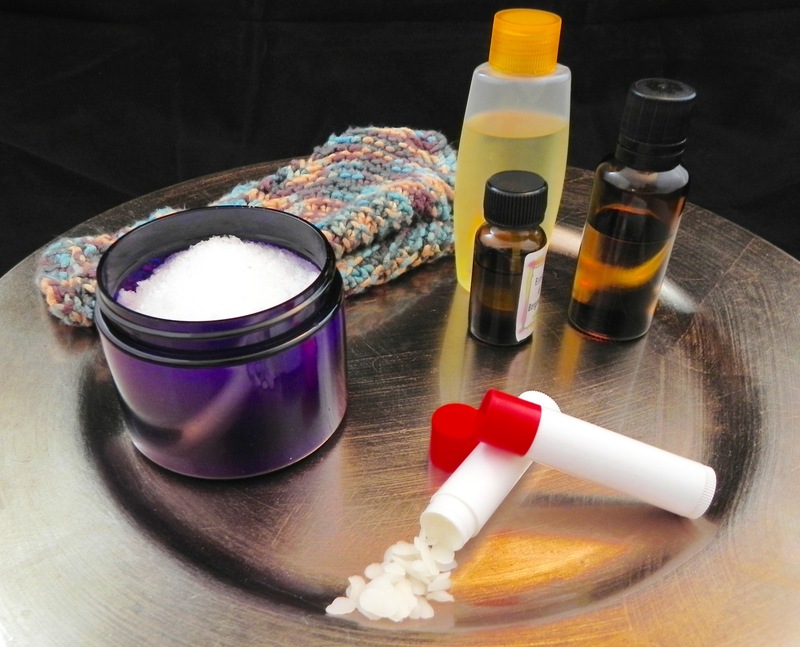 For more recipes, see past blog posts for Exfoliating Body Scrub and Sweet Dreams Bath Salts.